Seoulsome: Online Costume Store for Halloween in Korea. 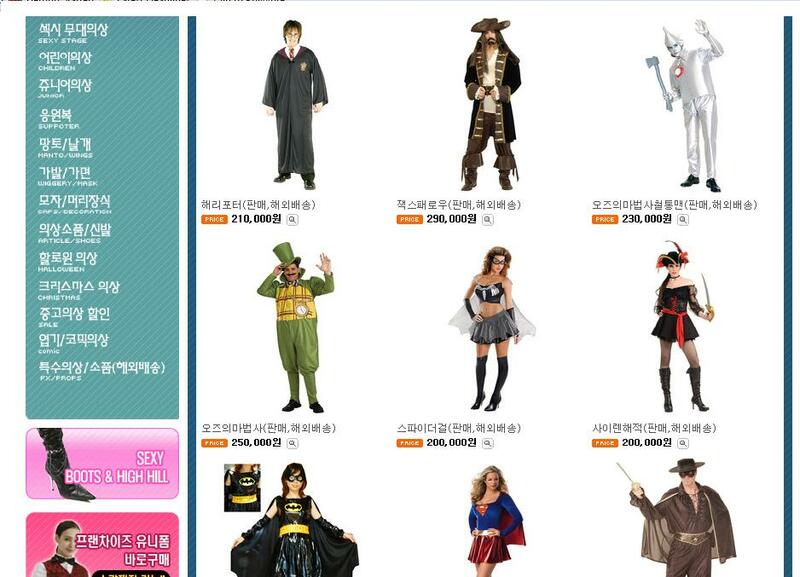 A few people sent me messages asking about more options for places to get Halloween costumes in Korea. Today I came across a decent online costume store. With Halloween 2011 approaching quickly I thought some people who can't make it to a store may find it useful. Although the site is only in Korean there are some English sub headings and it's easy to navigate and see the costumes. 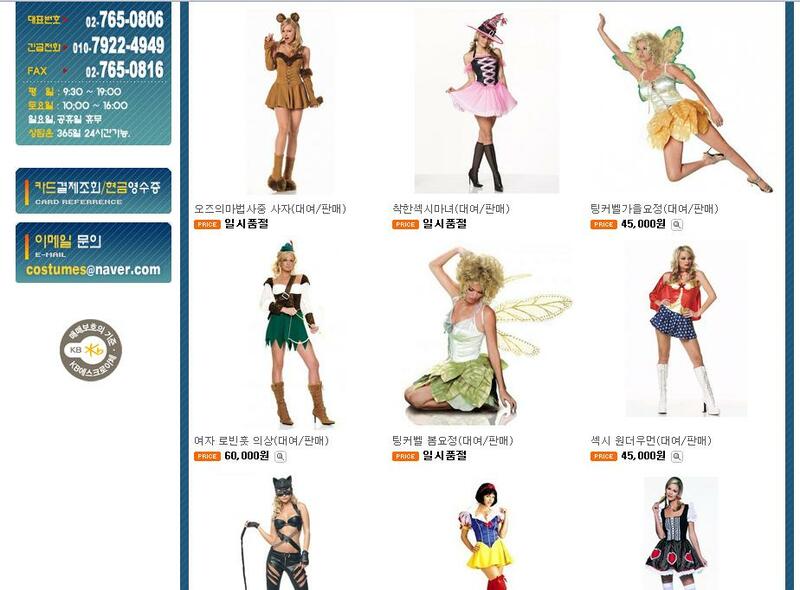 They have both men's and women's costumes including all the staple Halloween choices for women (read slutty Halloween choices) like army girl, nurse, maid, Wonderwoman, fairy, angel, devil, witch and various Disney characters. Some seem to be priced in keeping with the average price in England and America whilst some are pretty expensive. Sizing depends on the costume, some are 'one size' whilst others have a choice of small, medium and large. I've also seen a few listed in XL. 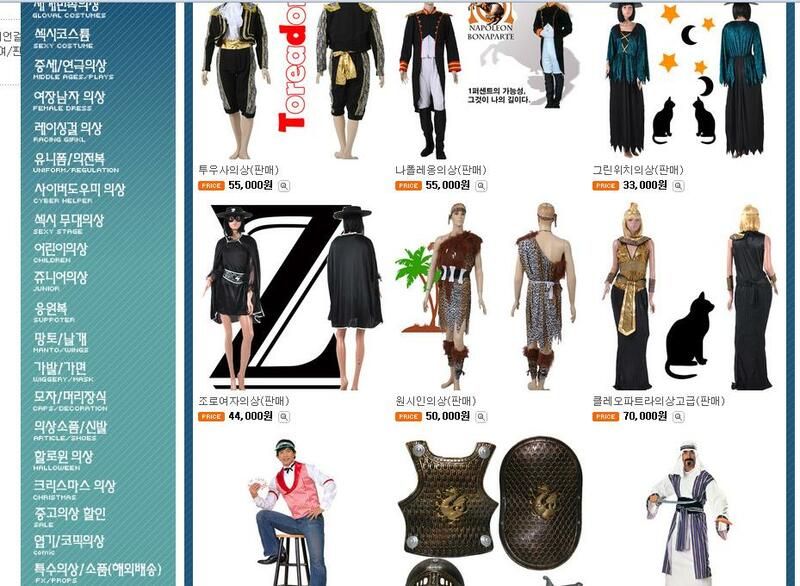 Some of the costumes available. If you're stuck for a Halloween costume then take a look and see if there's something for you. You can pay easily with a bank transfer. Unless you can read Korean you'll probably need someone to help you with placing the actual order though. Ask a Korean friend or co-worker for a favour. 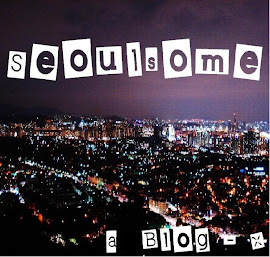 If you like the information here you can follow Seoulsome on Blogspot and/or like Seoulsome's Facebook page!